If there's one thing beauty lovers can't resist, it's a good dupe; a budget version of a high-end product that matches in quality. I haven't actually found myself owning many high-end products along with a cheaper alternative, but I recently realized that I have two similar products with very different price tags in my draw; Revlon's Highlighting Palette in Bronze Glow at £9.99 and Bobbi Brown's Shimmer Brick in Nectar at £32.50. Although I have them in different shades, they are used for mostly the same thing (highlighting) although I tend to use some colours in Bobbi Brown's Shimmer Brick for blush and some shades in Revlon's Highlighting Palette for bronzer and contouring. Leaving these shade differences out of the picture, I'm mainly going to be talking about the overall quality of the products, if they do the job they promise to do well and most importantly, if they're worth the price tag! One of the most important aspects of make-up for me when it comes to products is good colour pay off. Nothing annoys me more than when a shade looks amazing in the pan but when it comes to applying it, it just doesn't match up to the expectations its created, it's so misleading if a product has bad colour pay off. 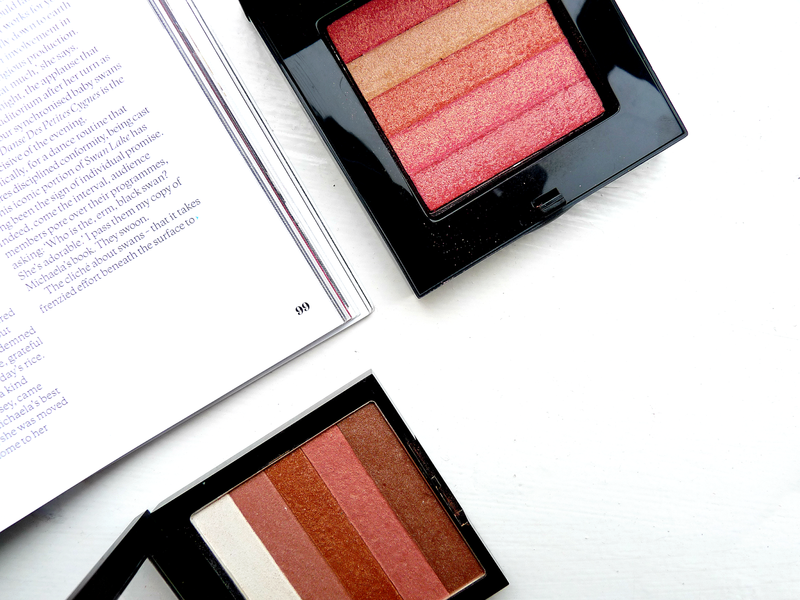 The shades in Bobbi Brown's Shimmer Brick, although they are somewhat sheer, they are true to the colours you can see in the compact and give you a gorgeous natural glow and warmth to your complexion, which I absolutely adore. In contrast, Revlon's Highlighting Palette is not at all sheer, but the colour pay off is just as good in comparison to Bobbi Brown's. I feel I need to go at it a little bit longer with my brush to pick up the product, but on application it transfers exactly as it looks in the pan. Even though they have such a difference in price, I find both these products preform well in terms of colour pay off, as the shades are highly pigmented which is always a good quality in a make-up product. In terms of the actual shades in both of these palettes, I have mixed feelings about them. The colours in Revlon's Highlighting Palette are more varied, which in some ways is better as you have more choice when it comes to using the product, making it the more versatile choice between the two. However, with a product like this when the products are easily blended, I tend to presume that the shades can be used together but in combination the shades in the Revlon palette sort of become a bit of a muddy mess. I find that I have to be careful not to let the shades mix when I'm applying them, which honestly isn't the most convenient thing in the world with the structure of the product. 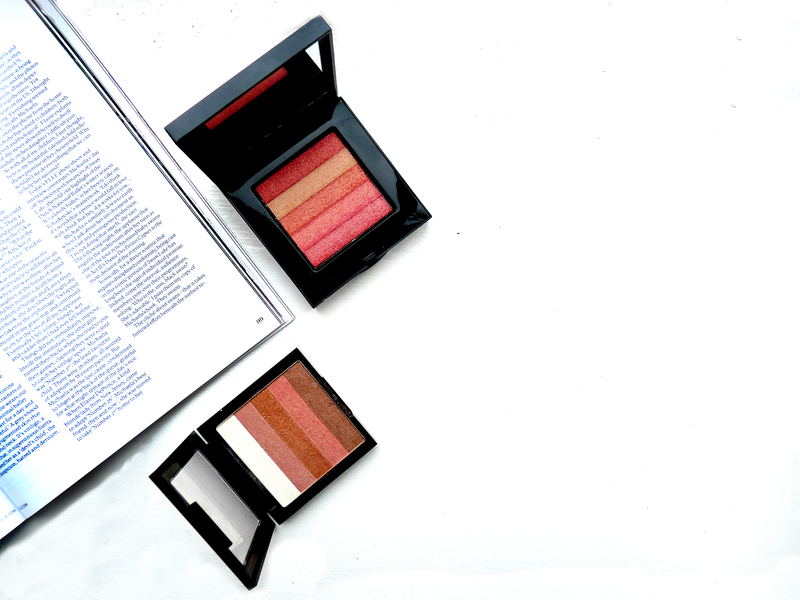 With this in mind, the Bobbi Brown Shimmer Brick is definitely the much more of convenient product as it is easy to pick up the colours without worrying about mixing them, as they compliment each other well. It is true to say that there isn't a lot of variety between the shades in the Shimmer Brick, but the shades that they do have work well both individually and together if you just want to swirl your brush in the compact to pick up a bit of every shade, it still creates a gorgeous look. So, you see my mixed emotions with this aspect, as both products have a good quality but for different reasons; I don't think one necessarily outweighs the other as better for this factor. The main difference in these two products for me, and where I notice the biggest divide in quality is their texture. When I use the Revlon Highlighting Palette both with a brush or with my fingertips, I find the texture of the product quite chalky and difficult to blend. I personally believe blending is one of the most important aspects of make-up application, so for me products that don't blend well just don't do it for me; it's irritating. Not that I don't like the Revlon Palette, because I do, I think it's a nice little palette but this does stand out to me when I use it and it does let it down a bit. Bobbi Brown's Shimmer Brick is noticeably the better of the two in this department. I find the product both easy and pleasant to apply and blend as much or as little as I want; in my opinion a product that is effortless is one that is good, they're doing it right. In general, I'm more inclined to go for the more purse friendly option if the quality is not too of a dramatic difference and in the battle between Bobbi Brown's Shimmer Brick and Revlon's Highlighting Palette they do have similar properties, and ones that the other doesn't which still makes them a good product but the one thing that shows the difference for me is one that I find hard to ignore. I wouldn't necessarily write off Revlon's Palette because of it, it's still a lovely product, but in the comparison of the two it is clear which is better quality and why it has a bigger price tag. Great post! I have the bronze shimmer brick by Bobbi Brown which I love to bits but I have tried many dupes from the drugstore, some have been rubbish but some very comparable and half the price!